Boo! Plan Now for Halloween Team Building | gThankYou! Halloween is less than two weeks away! Are you ready? Make it easy on yourself this year. Plan ahead for a workplace celebration that energizes employees with Halloween team building. Games, a costume parade, themed potluck, or contest for best office decoration — Halloween team building activities turn the focus on play, laughter and connecting with coworkers. Play is a powerful tool to increase creativity and strengthen relationships. Employees will return to work with renewed enthusiasm and better ideas. Halloween team building is employee engagement at its best: affordable, collaborative and refreshing. Read on for advice and inspiration to help you plan for a successful day of Halloween team building in your workplace. How Do Employees Want to Celebrate Halloween? The first rule of Halloween team building is to pick activities that get employees excited. What does your team want? Dressing in costume could be just the thing for one team, but too intimidating for another. Maybe you have amateur bakers on your staff who are dying to show off their favorite Halloween cookies to coworkers, or a entire department that’s ready to create a mini-haunted house for coworkers to enjoy. The best way to find out? Ask. A quick email survey could give your HR department a better idea of what employees are interested in doing — and not doing — to celebrate Halloween in the workplace. Team building gets a bad rep because too many business leaders assume what employees want. The snarky (but funny) Metro News post “14 Reasons Team Building Days Are the Absolute Worst” sums it up well. Team building that doesn’t fit the company culture or employee preferences will be met with indifference, or worse, resistance. Bottom line: you can’t force people to have fun. But you can brainstorm a wide range of activities and act on employee feedback. When the day comes, relax. Invite participation but don’t pressure it. If you’ve planned well, employees will welcome the chance to celebrate Halloween at work and have fun — as they’ve defined it. Communicate clear guidelines to employees for the workplace Halloween celebration so there are no surprises, Mandel recommends. What are your company’s expectations for appropriate costumes? What company policies or procedures may apply to Halloween team building? This is where leaders play a big role. The attitude leadership takes toward a Halloween celebration can set the mood for the event. Be sure leaders are on board with activities — and even excited to participate themselves! Halloween team building is a fantastic opportunity for leaders and employees to connect and share a meaningful experience. Ready, set, go! Here are fifteen ideas for Halloween team building activities to help jump-start your HR team’s brainstorming and planning. Bring in pumpkins and invite employees to compete in an inter-departmental pumpkin-carving contest. Volunteer together to make costumes for kids in need. Make way for a costume parade. Have lots of fun prize categories — silliest, funniest, scariest, most creative, etc. Host trick-or-treating in your workplace and invite a group in need or a local school. Take your dressed-up workplace on the road — visit a nursing home, children’s hospital or food pantry and hand out Halloween treats. Curate a Halloween playlist to set the mood. Play a Halloween version of the children’s party game Pin the Tail on the Donkey. Hang a piñata filled with Halloween candy and invite employees to take turns whacking it. Drink hot apple cider and share spooky stories with one another. Make a scarecrow together (using bags of old clothes from a thrift shop). Host an office decorating contest. Invite a local improv troupe to perform for or teach a class to employees. Don’t forget trick-or-treating! Have small prizes on hand to give contest winners, like Candy Gift Certificates. 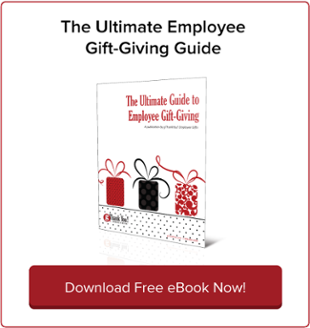 When sharing a gift, even a contest prize, always thank employees for participating and for being on the team. 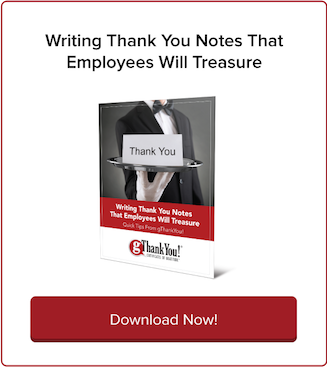 It’s an easy way to share your appreciation, and it makes the gift all the more meaningful. Wishing you and your team a fun Halloween! Employee appreciation isn’t a once-a-year or even once-in-a-while thing. In great workplace cultures, employees feel valued and appreciated year-round! 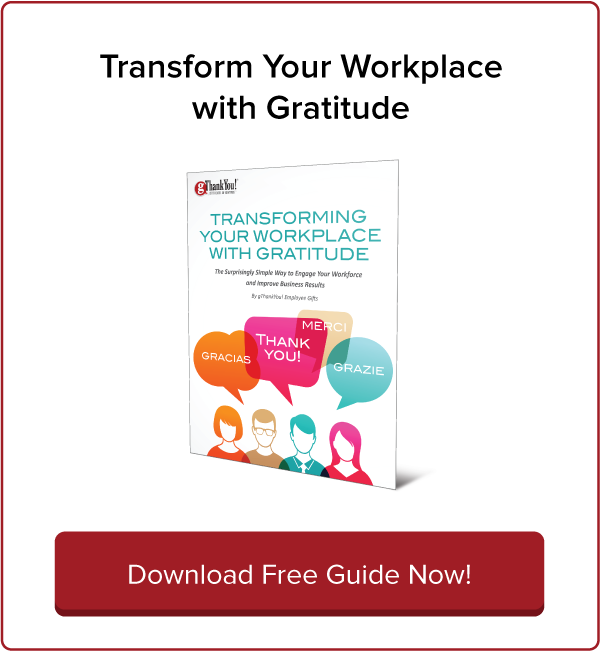 Download our FREE 2016 Day-to-Day Celebration Calendar for expert tips on engaging, recognizing and building a happy and loyal workplace every day of the year. 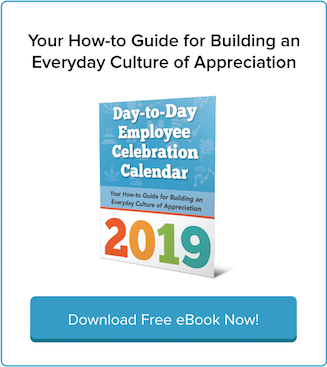 This one-of-a-kind eBook will help you build everyday workplace spirit with month-by-month guides, case studies, research highlights, how-to recognition advice and celebration ideas for specific holidays and anytime. 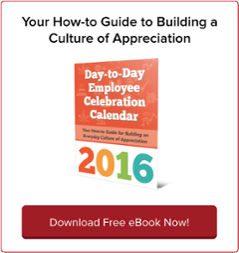 Download Your Free Day-to-Day Employee Celebration Calendar Now!